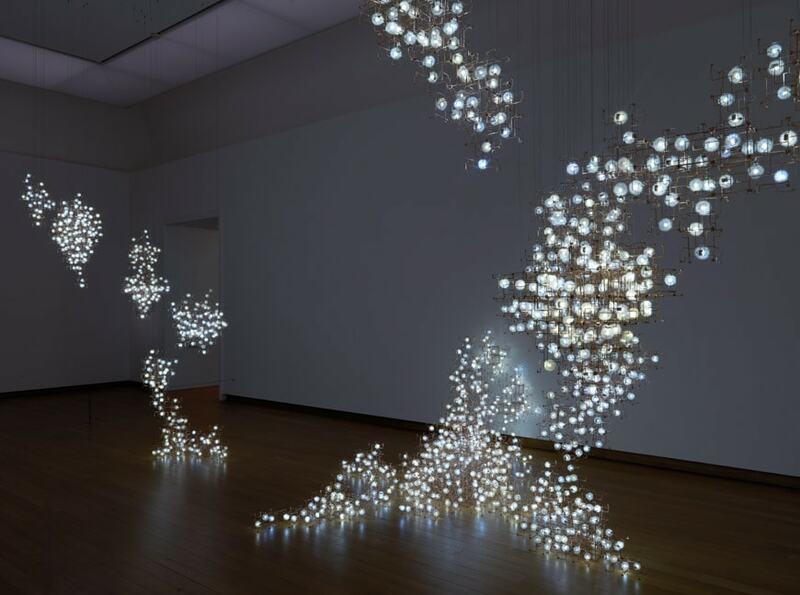 From 25 April through 26 August 2018, the Stedelijk Museum Amsterdam presents the exhibition ‘Studio Drift – Coded Nature’. The work of Lonneke Gordijn and Ralph Nauta, founders of Studio Drift, occupies a unique place at the intersection between tech art, performance, and biodesign. Gordijn and Nauta engage with contemporary topics such as sustainability, the meaning of natural processes for today’s environment, and issues raised by the use of augmented reality. Their work focuses attention on a society in flux, shaped by the impact of fast-paced innovations, without judging. 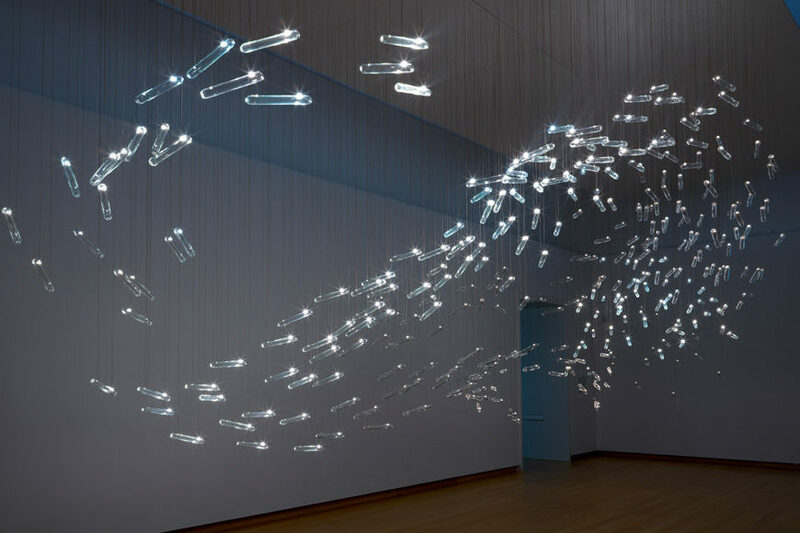 The exhibition features new works by Studio Drift, and, specially for the ongoing event at the Stedelijk, creates the largest-ever installation of ‘Fragile Future’, (at the core of the installation is Fragile Future Chandelier 3.5, acquired by the museum in 2015). Another highlight is ‘Drifter’, a floating concrete monolith measuring four by two by two meters, on display in the IMC Gallery. Installation view Studio Drift: Coded Nature, 2018, Stedelijk Museum Amsterdam. 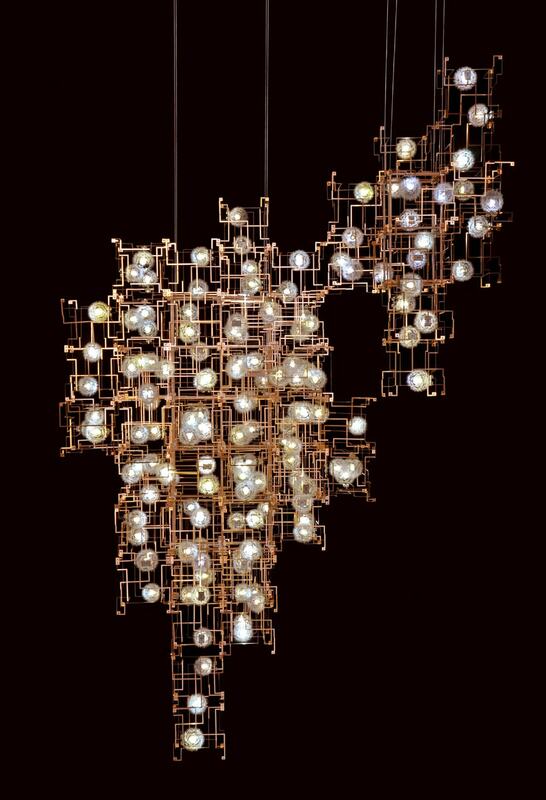 Fragile Future 3, 2009, design installation 2018, with on the left hand side of the photo Fragile Future Chandelier 3.5, phosphor bronze, dandelion seeds, LEDs, courtesy Carpenters Workshop Gallery, London. 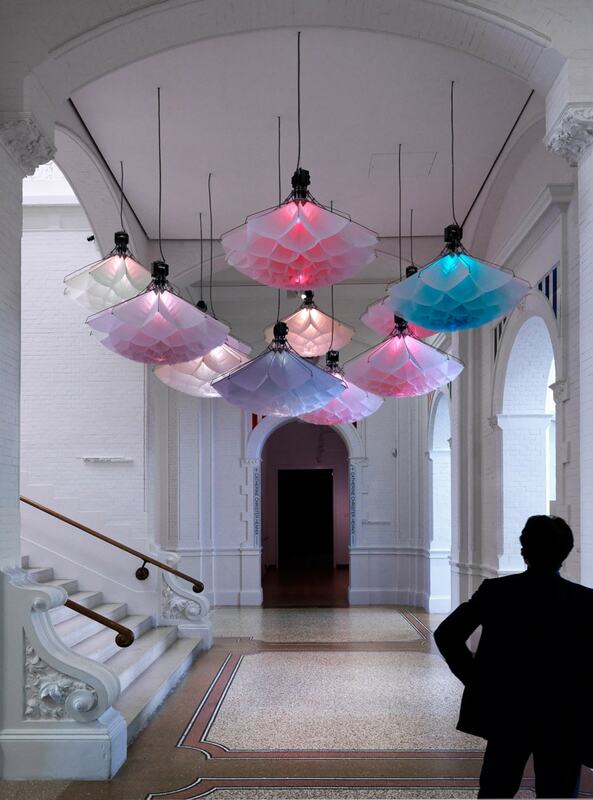 Fragile Future Chandelier 3.5, collection Stedelijk Museum Amsterdam, acquired with the generous support of the Mondriaan Fund, 2015. Studio Drift, Fragile Future Chandelier 3.5 (2012), manufactured under the control of Carpenters Workshop Gallery. 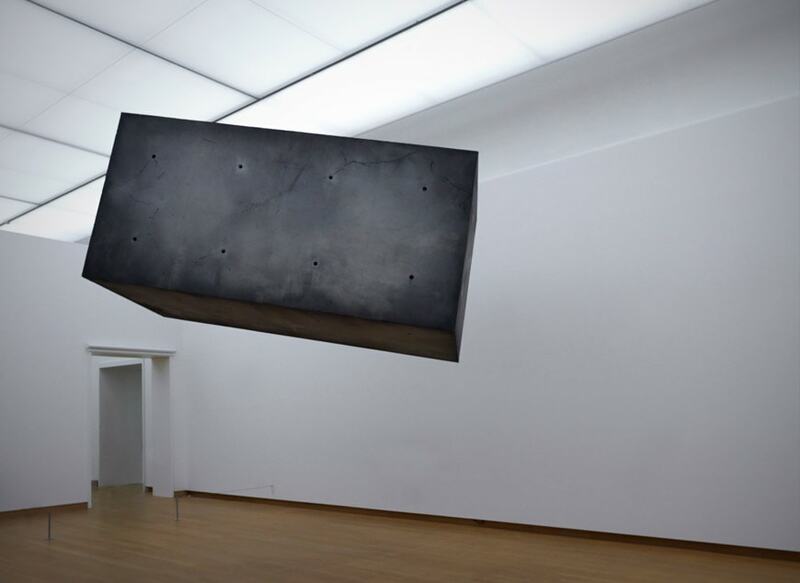 Collection Stedelijk Museum Amsterdam. Acquired with financial support from ‘het Mondriaan Fonds’. The changing relationships between man, nature and technology are the focus of Studio Drift’s work. Their first project, ‘Fragile Future’ – now an iconic series of light sculptures of dandelion heads individually applied one by one to the LED lights – brought to the duo international renown. Over the years, the work evolved into a system composed of modules, which can be combined in various configurations. 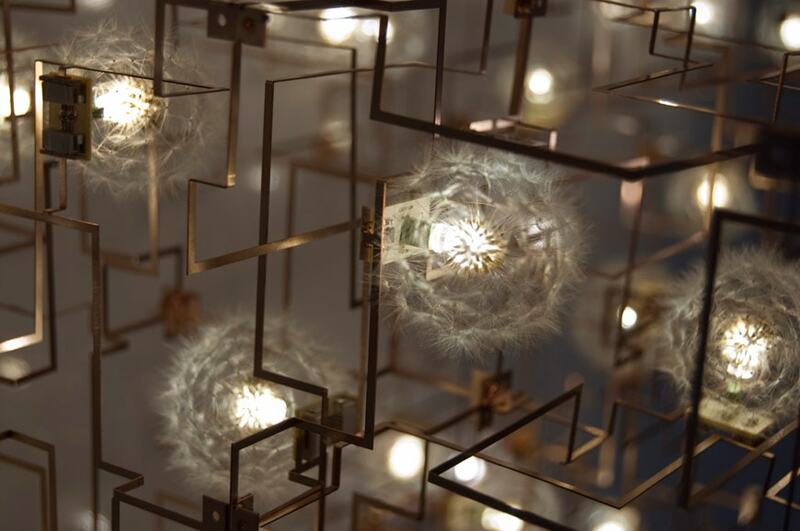 Placing and gluing the dandelion seeds to the LEDs is an extremely labor-intensive process that can be seen as a form of ‘slow design’, a type of craftsmanship in marked contrast with today’s mass production processes. ‘Fragile Future’ offers a utopian glimpse into our future, in which the forces of two seemingly irreconcilable worlds unite in a bid to survive. Studio Drift was founded in 2007 by Lonneke Gordijn (Alkmaar, 1980) and Ralph Nauta (Swindon, United Kingdom, 1978). The designers met at the Design Academy in Eindhoven, where they graduated in 2005. Their passion for nature, science fiction and technology blends in their site-specific installations and interactive sculptures. To translate their concepts into a final result they often work closely with researchers, programmers, engineers and other experts, always encouraging their partners to push the boundaries of technology. The result is an aesthetic, harmonious synthesis of the natural and the technical, a poetic intimation of the earth’s seemingly infinite resources and the endless possibilities the future may hold.